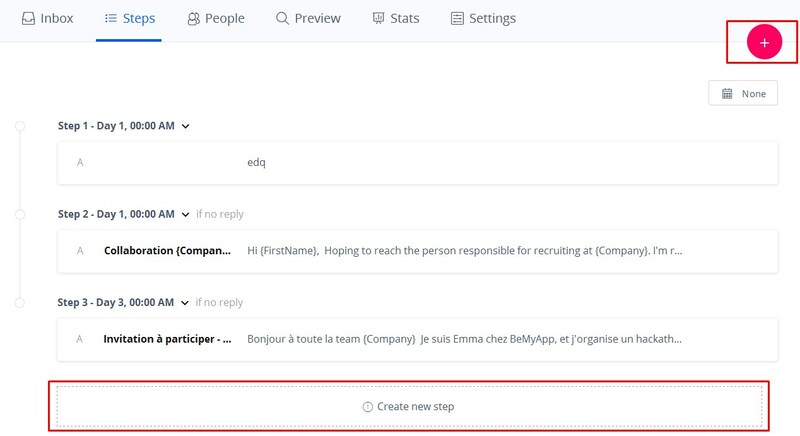 Operating the steps of your outreach has never been easier: add, edit and remove emails and follow ups in super user-friendly environment. 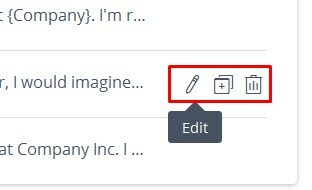 The Steps tab of any campaign lets a user add and remove campaign steps, edit steps, change their order. Use the Add Campaign Step button when you create a new campaign. When you click on it, the system opens the Template creation pop-up. To add an additional step to an already existing Campaign, click the + button at the top right corner of the Steps tab or the Create new step button at the bottom of the Steps tab. You can also add a variant of the same step email for A/B testing to test several variants of emails sent randomly to your people in this campaign, to see which template variant gets better reply rates. To change the order of steps in the campaign, drag-n-drop any step to the needed position. You can rearrange only the steps that do not have outgoing emails. Please note, that once a step has been sent to at least 1 prospect, it cannot be removed.